Columbus Short needs help. He clearly has an issue with putting his hands on others (allegedly). His wife has just filed a restraining order against him and filed for divorce for the third time after she claims he pinned her down, holding a knife to her throat. 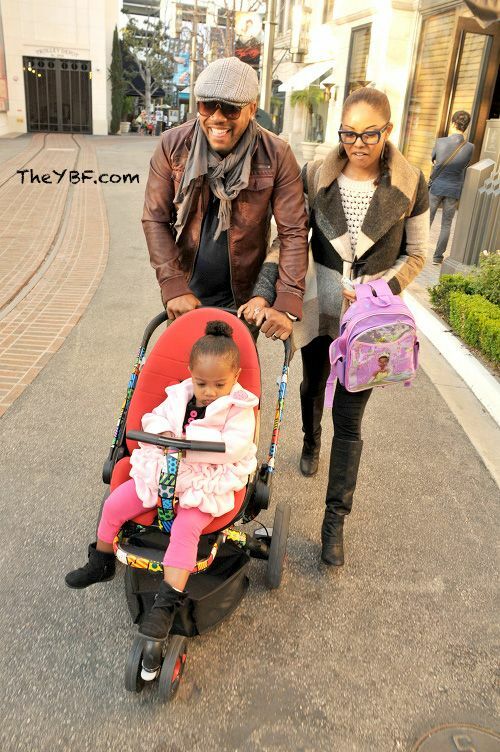 Just when you thought all is well with “Scandal” star Columbus Short after seeing him, his wife and daughter all smiles on a family outing…THIS happens. As he’s currently being investigated by the LAPD for going straight HUCK on a dude in a bar fight last month, actor Columbus Short now has a restraining order filed against him after he allegedly pulled a knife out and held it to his wife’s throat! Tanee McCall-Short has kicked her husband out of their house and filed for divorce (for the THIRD time) after he allegedly attacked her in their Chatsworth home on April 7th. Tanee claims Columbus came home drunk with a wine bottle in his hand, acting as if he was going to hit her with it. TMZ reports Columbus had suspicions that Tanee was cheating on him and started naming men who he believed she had an affair with, all as he held a knife to her throat. He allegedly told her if she lied to him he would commit a murder/suicide. After fighting him off, Tanee was able to escape which resulted in Columbus slashing one of her tires on her vehicle. She called police and filed a restraining order against him and he now has to move out of their home. It’s reported the cops were at their household today to make sure he moved out peacefully. Columbus has a colorful rap sheet including hurting his wife in front of their kids this past February, had a police report filed on him 2 weeks later for allegedly pushing his wife during an argument, and back in 2010 he was prosecuted for beating up a dude on the basketball court. Think she'll finally leave for good this time? We reached out to Columbus’ rep for comment but have not gotten a response. PREVIOUS: Aretha Franklin Pops Back With $10 Million LAWSUIT Over Patti Labelle FIGHT Story + Swizz Beatz ACCEPTED To Harvard’s Business School!